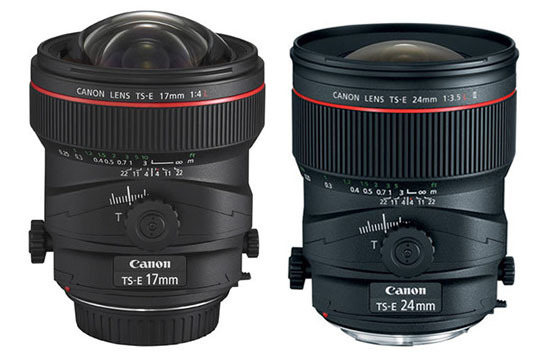 Canon released their new Tilt-Shift TS-E 17mm f/4L and TS-E 24mm f/3.5L lens two years ago. It is hard to believe that almost 18 years have passed since Canon revolutionized the professional photography market with three Tilt-Shift (TS-E) lenses : the 90mm f/2.8, 45mm f/2.8, and 24mm f/3.5L. These lenses quickly became synonymous with solving problems for professional shooters, and for years were the only series of lenses of their type for interchangeable lens SLRs. Lenses with 'shift' capability have been available for 35mm and medium-format SLRs for decades. 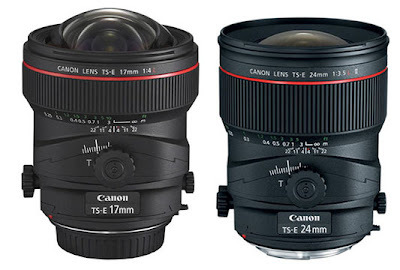 What made Canon’s Tilt-Shift lenses special was summed up in their name. For the first time, SLR users had a lens that could mimic the movements of the front standard of a view camera. These lenses not only could shift to retain proper perspective control, but also could tilt to alter the plane of focus. Now more new Tilt-Shift prototype lenses have been spotted in field tests. The older 45mm and 90mm lens are long overdue to be upgraded and become 'L' grade so there is a chance they may be announced before the end of the year and available for early 2014.